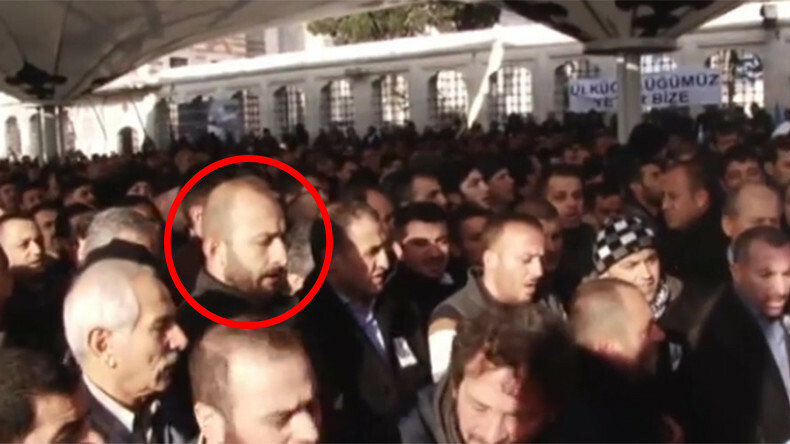 A Turkish ultranationalist who bragged about killing the pilot of a Russian bomber shot down by Turkish fighter jets has showed up for the funeral of a fellow militant in Istanbul. Moscow has demanded the man’s arrest on war crime charges. Alparslan Celik is a Turkish citizen, the son of a former district mayor elected from Turkey’s Nationalist Movement Party (MHP) and a member of the party’s unofficial youth military arm, Bozkurtlar. 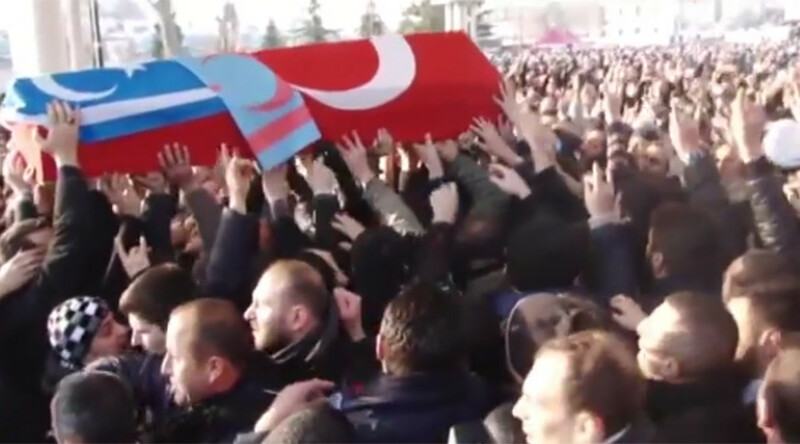 He appeared in Istanbul on Wednesday for the funeral of Ibrahim Kucuk, the head of the MHP bureau in Istanbul’s Fatih district, who was killed in an airstrike in a Turkmen village in Syria, the Hurriyet newspaper reported. “The martyr [Kucuk] was our friend. He was with us in Bayirbucak and Turkmen Mountain. We were together,” he told journalists referring to the northwestern region of Syria, where ethnic Turks are an ethnic majority. The Turkish government has been supporting Turkmen militias in Syria, including the group in which Celik is deputy commander. He added that he intends to go back to Syria, where he spent at least the two previous years fighting. Celik has claimed that his group killed the pilot of a Russian Su-24 bomber after the warplane was shot down by Turkish fighter jets on November 24. He said the Russian officer, later identified as Lieutenant Colonel Oleg Peshkov, was killed as he was parachuting down to the ground. Such an act is considered a war crime under international law, but Celik justified it by claiming that it was rightful retaliation for the alleged bombing of Turkmens in Syria. “That pilot bombed us five minutes [before Turkey downed the Russian jet] and our brothers were killed or wounded by these bombs. There is no place for a person who has bombed civilian Turkmens every day in my conscience,” Celik said in an earlier interview. Russia demanded that Turkey arrest Celik and try him for the killing of the Russian pilot, as well as for being a member of an unlawful armed group. Ankara ignored the demand and he has continued to give interviews and travel freely in Turkey and across the border into Syria. The downing of the Russian warplane caused a major rift in Russian-Turkish relations. Turkey claimed that it had acted properly in defense of its airspace after an alleged seconds-long violation by the Russian aircraft. Moscow has denied that any breach occurred and has accused the Turkish government of supporting terrorist forces in Syria. Russia said that senior Turkish officials profited from smuggled oil and were trying to protect their illegal business. The accusation has since been backed up by Greek and Israeli officials, among others.